Maybe we would all get out of the house a bit more if outdoor spaces were a little more conducive to our tech-heavy lifestyles. This strange but kind of wonderful concept would put green electricity, combined with new lounging spots, in public spaces. 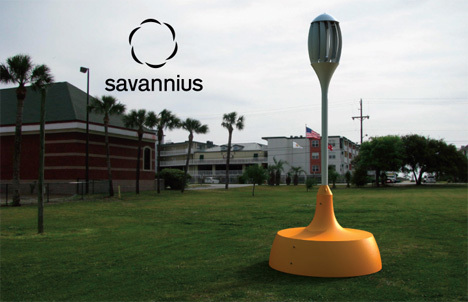 The Savannius Wind Turbine, designed by Hirotaka Matsui, is a small wind turbine that harnesses the natural power of the wind to electrify the public. 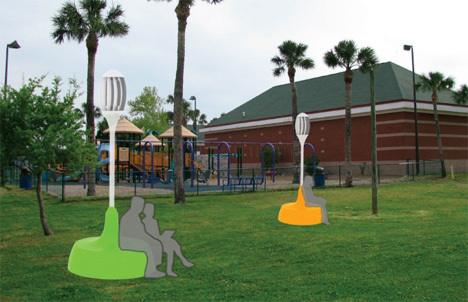 The top part of the device turns to generate electricity and the bottom is a clever plastic seat that allows several people to sit down and take in the scenery. On the base of the Savannius are three electrical outlets that let visitors plug in laptops, phone chargers or whatever other gadgets they happen to be hauling around. 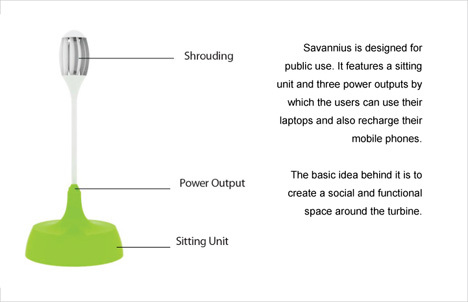 According to the designer, the purpose of the Savannius is to create a social space that is also functional. This definitely seems like the way of the future, given the fact that most of us are never without our gadgets for very long. 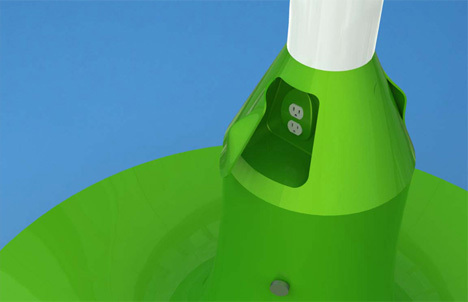 Putting charging stations in public spaces is a logical step, and the fact that this design features clean, green energy is a huge bonus. See more in Energy & Power or under Science. June, 2011.